Captain McClane enlisted in 1964. He graduated from the United States Naval Academy and was commissioned in 1970. His initial assignment was in USS RICHARD E. BYRD (DDG 23) where he served as missile/gunnery assistant, fire control officer and CIC officer until 1973. 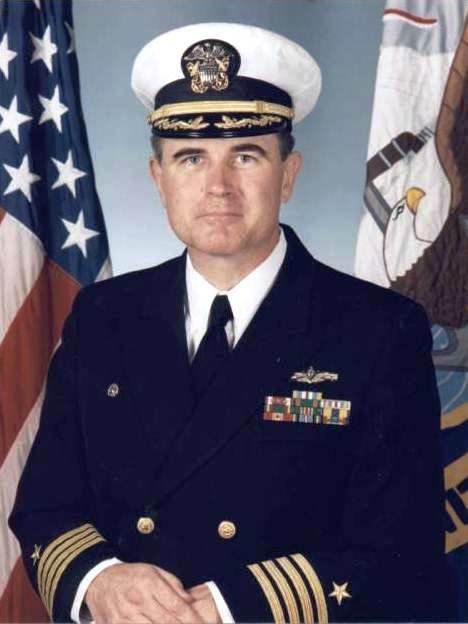 After postgraduate school and following completion of department head school in 1977, he reported to USS BUCHANAN (DDG 14) as weapons officer. After his tour aboard USS BUCHANAN, Captain McClane was selected as the commissioning combat systems officer for USS TICONDEROGA (CG 47). He participated in the first series of AEGIS training courses at the Combat Systems Engineering Development Site, Moorestown, New Jersey and served on TICONDEROGA from pre-commissioning through the first deployment (1980-1984). This included delivery, commissioning, two operational evaluations and participation in the Multinational Peacekeeping Force off Beirut, Lebanon. Captain McClane served as executive officer of USS BELKNAP (CG 26) from 1984-1986 and assumed command of USS WADDELL (DDG 24) in February 1987. His twenty-seven months in command included two deployments to the Arabian Gulf/North Arabian Sea.